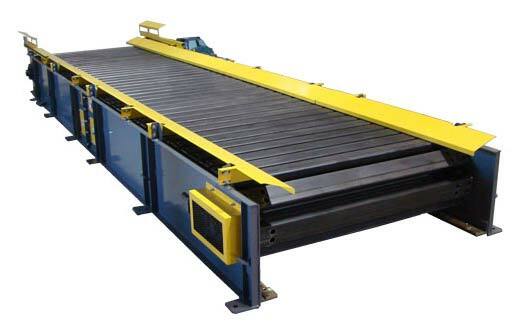 We, being a prime Manufacturer and Supplier in the industry, offer Slat Conveyor System. It is applied in a number of industrial purposes. The quality is ensured to be in compliance with the standards and parameters set by the industry. We make it available in a number of specifications. Its durability, corrosion resistance and dimensional accuracy make it a popular choice for varied purposes. Slat Conveyor : This Conveyor mostly useful in Pharmaceuticals and Oil / Refinery Industry for Filling , Labeling , Tagging ,Printing & Packing lines ,his conveyor is available in Link Slats chain Conveyors made of SS304 or M.S. Conveyor is running at speed between 1 mtrs/ min. to 3 mts/min.